Home > Local News > Twins! 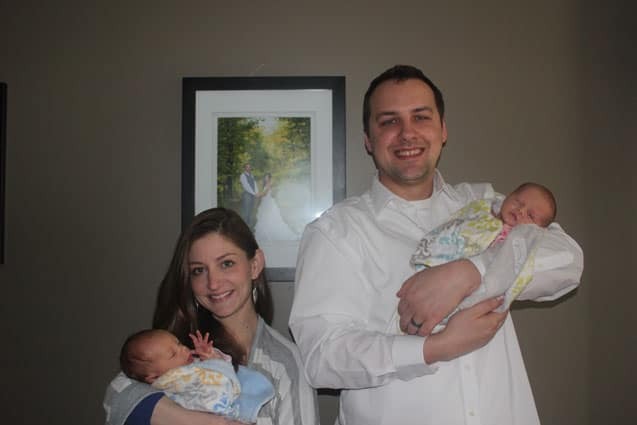 Twin girls were born to Erin and James Lorentz of Rutland on April 2, 2015. Elana weighed in at 5 pounds, 2 ounces and younger sister (by one minute) Calen weighed 4 pounds, 12 ounces. All are doing well! The girls are the granddaughters of Paula and Dennis Sheridan and Karen and John Lorentz. Calen LorentzElana LorentzErin LorentzJames LorentzKaren and John LorentzPaula and Dennis SheridanTwins!